A flowing scarlet gown with a purple sash, designed by noted American designer Oleg Cassini, who was married to actress Gene Tierney. 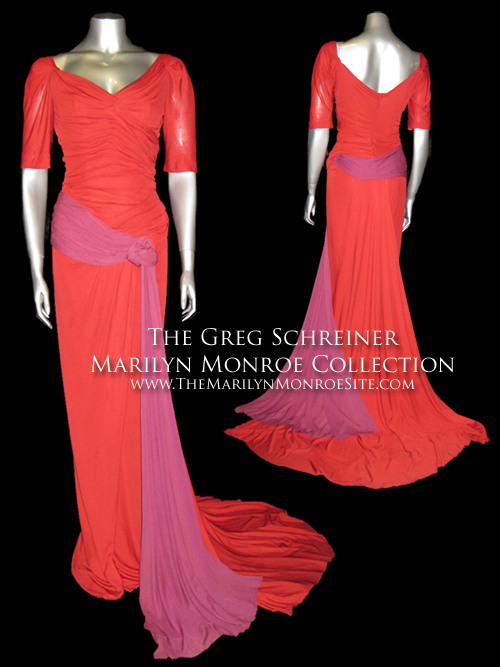 This gown was first worn by Tierney in 1951’s “On The Riviera” from Twentieth-Century Fox. 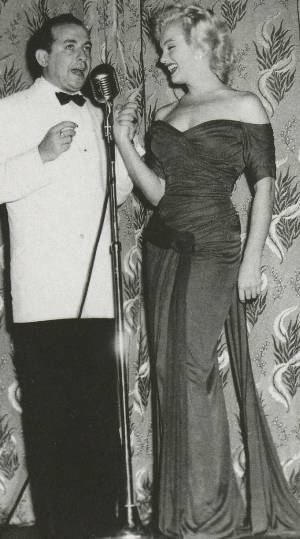 Marilyn wore the gown to premiere of “Monkey Business” in 1952, and also for a photo shoot which today reflects some of the most famous images of Marilyn Monroe. 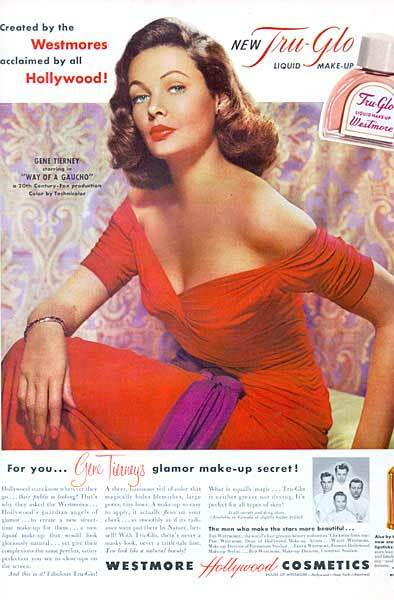 This gown was also worn by Gene Tierney in an advertisement for Tru-Glo Liquid Make-Up. 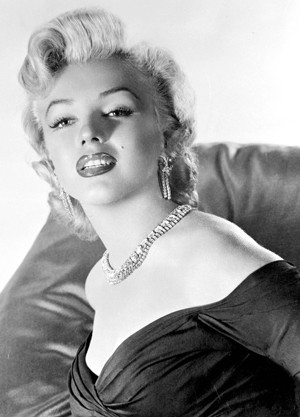 Copyright © 2019 The Marilyn Monroe Site. All rights reserved.